Grocon has made a refreshing $60 million from the sale of two development lots on the former Carlton & United Breweries (CUB) site in the inner-Melbourne suburb of Carlton. The buyer is a Chinese private development company, which is planning to use the site for a major apartment development. The sale accounts for about a third of the total land on the CUB site. CBRE Melbourne city sales agents Mark Wizel, Josh Rutman and Tom Tuxworth negotiated the sale. Mr Wizel said that the appetite for Melbourne CBD and suburban development sites was stronger than it had ever been. "The smart ones in the industry have decided that instead of trying to work out when the music will stop they would prefer to work out how to dance with Asian capital, rather than resent it," he said. 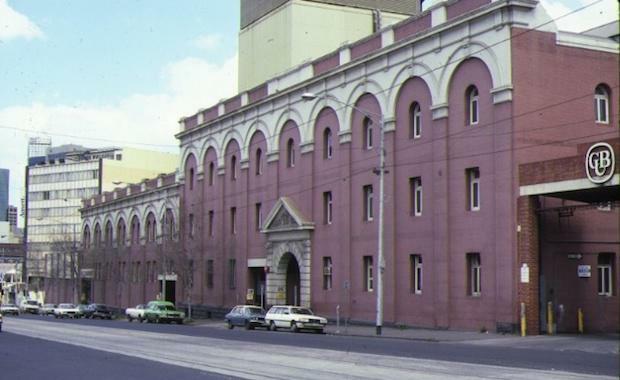 The parcels of land were sold without permits, but attracted attention from Australian, Singaporean and Malaysian developers due to their close proximity to both RMIT and Melbourne University. It has become increasingly more common for developers to target sites without permits in Melbourne because they believe that their high-rise plans will win state government support. Grocon general manager for business development Dan McLennan has noted the success of the CUB site and said that the company would direct the proceeds towards its Australia-wide development pipeline. Grocon has been selling down its stake in the $1.2 billion urban renewal precinct over the past two years as it diversifies its portfolio away from Melbourne apartment projects and moves toward broader national works, including the Commonwealth Games Village on the Gold Coast. The company will finish its $290 million mixed-use Swanston Square development, with 536 units, next year. Its next project in the area will be the $110 million Bouverie Street Apartments, which will have 225 units. Grocon purchased the entire CUB site for $39 million in 2007. The most recent parcels, between Queensbridge and Bouverie streets, spanned 6,600 square metres and sold for more than $9000 per square metre. Last year, Grocon sold two neighbouring sites on the corner of Bouverie and Victoria streets to Singapore’s Chip Eng Seng for $32 million. These were sold at a similar rate per square metre but with no height limits, prompting a super-tall unit tower to be planned.